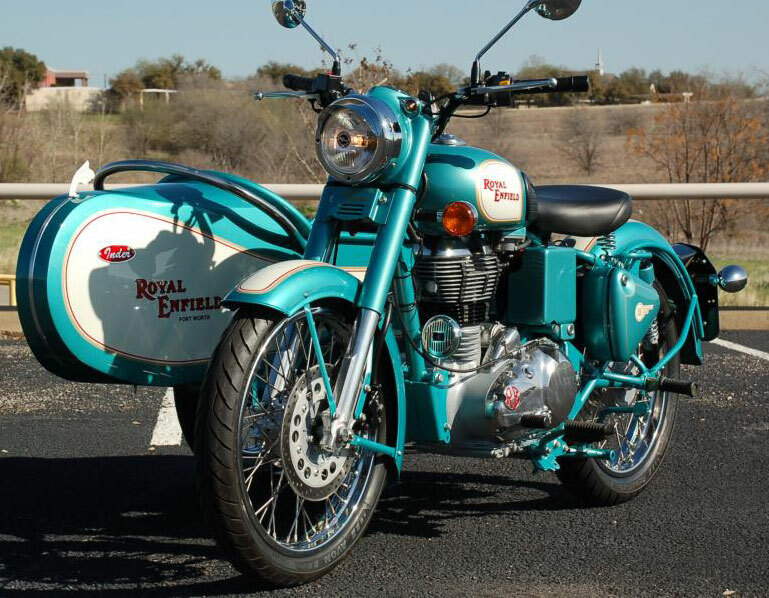 This Royal Enfield C5 and sidecar look as though they were made for one another. I've written before about the remarkable custom sidecar outfits being put together at Royal Enfield of Fort Worth. There's no ignoring this latest effort, offered for sale on CraigsList for $12,995. 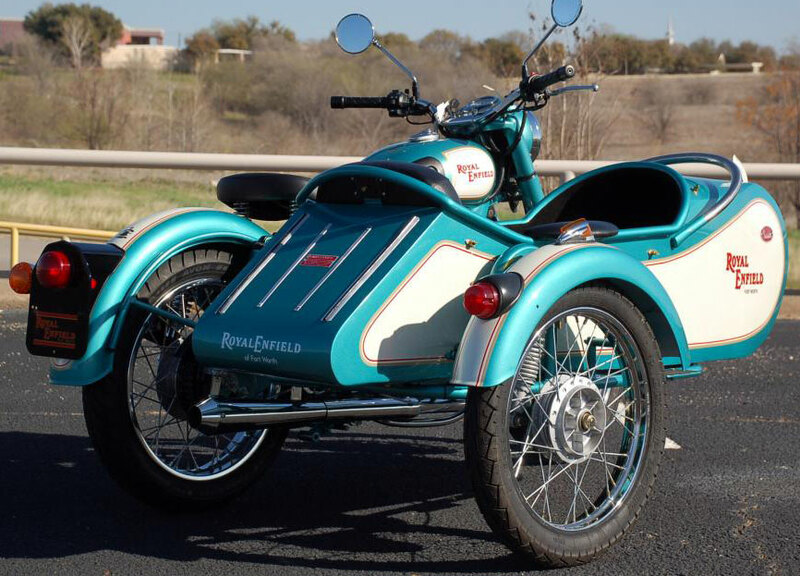 It's an Inder sidecar, painted to match a new teal 2012 C5. There's a custom leather seat and a "hood" ornament on the sidecar. 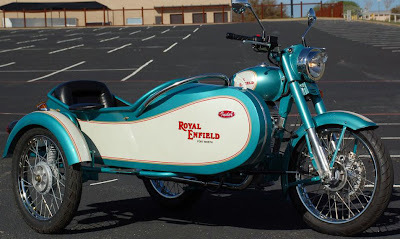 The sidecar is marked as a Royal Enfield in the same style used on the tank of the C5. Fenders of motorcycle and sidecar are painted to match. An awfully nice additional touch is the white paint on the fenders of the motorcycle, matching the sidecar fender. Who would have thought of that? Another nice feature: the sidecar wheel has a brake! The sidecar has front and rear grab bars; the front is shiny, the rear is painted to match the car. Someone gave this a lot of thought. Sidecar has a brake. Note treatment of the grab bars. Royal Enfield of Fort Worth is at at 8124 West Freeway, Fort Worth, Texas. Telephone is 214-629-4011. I have no connection to this dealer and can't vouch for them, but if I was in town I would go take a look at this sidecar combination.